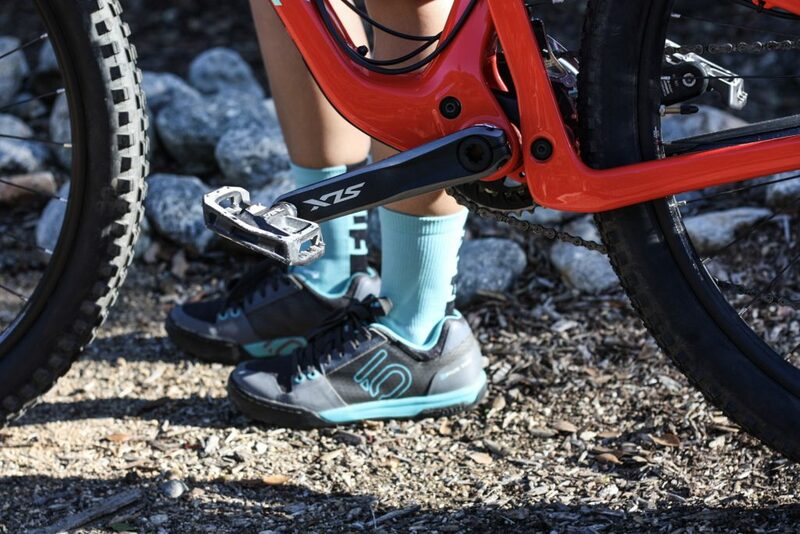 A review of the Women's Five Ten Freerider Contact shoes, a flat pedal mountain bike specific shoe made for all-day riding performance and adjustability. First thing that catches your eye is the overall look of the shoe-it doesn’t look like a mountain bike shoe. That’s a complement, because mtb shoes aren’t exactly known for being “good looking”. It’s a shoe that you wouldn’t mind staying in for the post-ride brew or lunch. But can they perform as nice as they look? The minute your feet touch the pedals, you’ll immediately notice the incredible grip. Before Five Ten started producing mountain bike shoes, they were known for making climbing shoes. Needless to say, they know a thing or two about the importance of grip. The Mi6 rubber has a softer consistency which will allow the pins to penetrate and really dig into the sole. The outsole on the ball of the foot is smooth, allowing for quick adjustments to be made while riding. It doesn’t matter how well a shoe performs if it’s not comfortable, which brings us to the next (very important) topic. Again, the Mi6 soft rubber outsole comes into play, offering cushioning and dampening during the ride preventing foot fatigue. 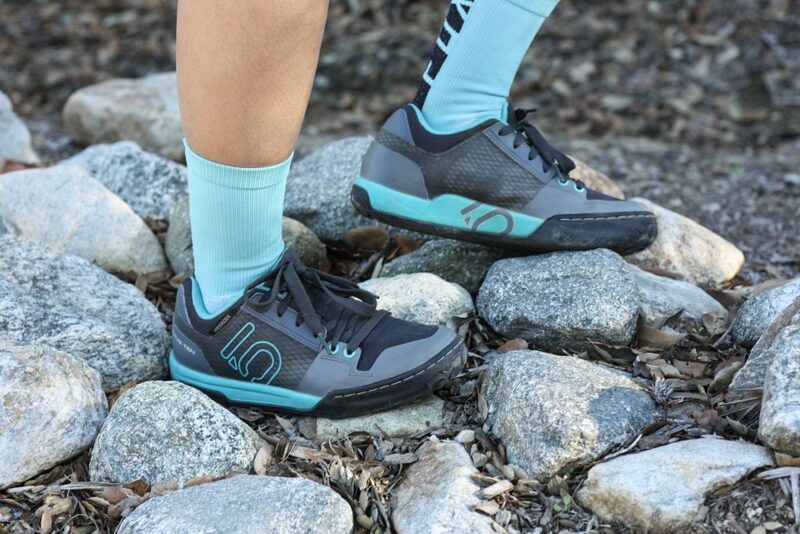 The Five Ten Freerider Contact is definitely built to be comfortable during a long day of riding, but this is also made to be a stiff, protective shoe. The rigidity is a great attribute while pedaling, but not exactly ideal if you’re hiking the bike. Overall, this is a very comfortable riding shoe. With the rigidity and added toe cap protection, these shoes will provide good protection for your feet. Because of the low-profile performance fit, there is no ankle bone protection.The mesh synthetic upper makes this a very breathable shoe for rides during the summer, however, this also means that it’s not made to be very waterproof. I’ve found it to be decently water resistant to splashes, but ultimately moisture will be an issue if riding in or around water. The Contact Freerider is not entirely known for durability. While the abrasion resistant materials will hold up the upper portion of the shoe, the soft rubber sole will affect the longevity of the shoe, depending on riding style, frequency and conditions. Most complaints are from the soles delaminating from the shoe. I have been wearing my Five Ten’s during rides exclusively for a few months and have not had this experience, but definitely something to consider if you’re looking for longevity. The Freerider Contact is a high performance shoe, suitable for all-mountain riding, uphill and downhill. 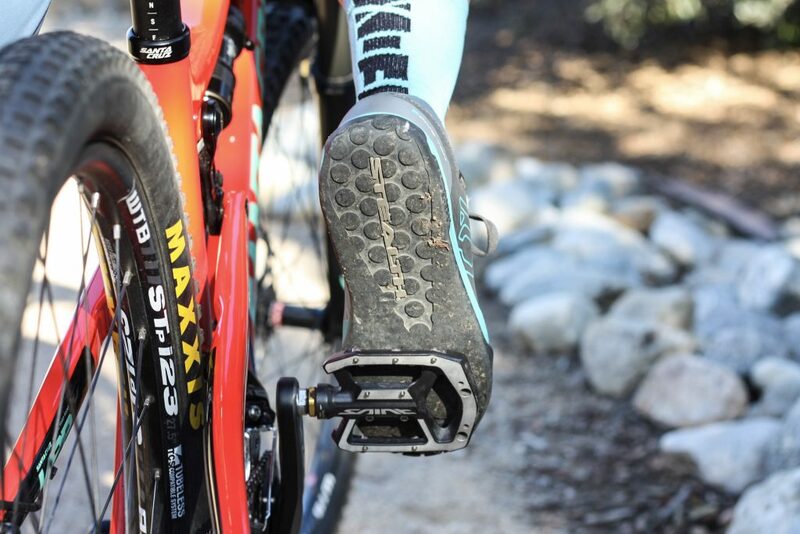 The ultra-sticky soles will keep you attached to your pedals and give you that “clipped in” feel, even over rough and technical descents. They are lightweight, breathable and protective. They won’t last past a few seasons for most riders, but certainly long enough to get your money’s worth. 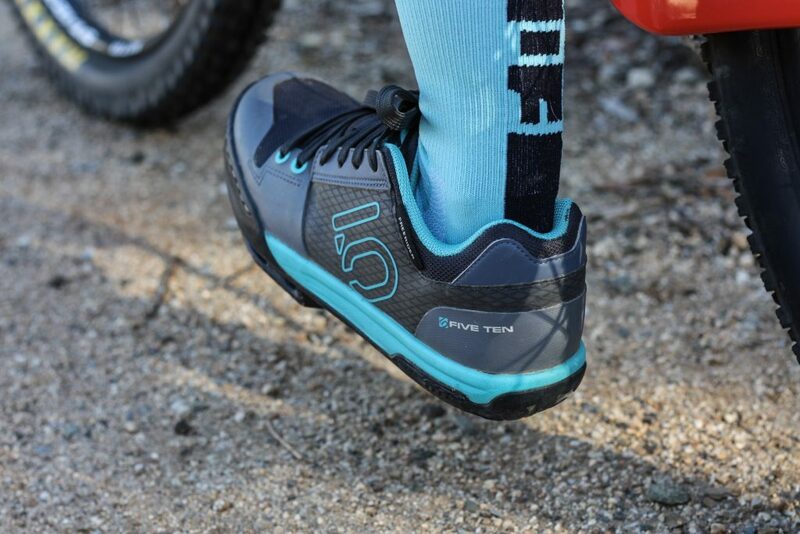 Five Ten has certainly set the bar high for a flat pedal shoe.